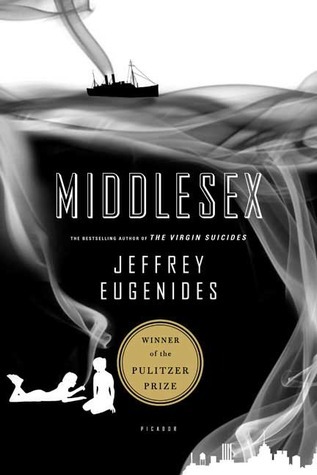 With Middlesex Eugenides offers a historical and psychological narrative through which circular, personal, candid and humorous storytelling combine to create a mythological account of a uniquely American experience: how a teenage girl named Calliope Stephanides became a man named Cal. I say this book tells a uniquely American experience–how is that? One conventional explanation would be Cal’s family history. His grandparents are Grecian Turks; immigrants who came to America via Ellis Island in the early 20th century. Cal’s grandparent’s are transplanted into Detroit to assimilate to and enrich American culture, to seek the traditional American Dream; freedom, job, house, car, wealth, family…children–and this is where things also get “unique”. Cal’s grandparent’s children would technically be considered sister and brother and first cousins. That’s right. First cousins. See…Cal’s grandparent’s have a secret–they are husband and wife, and brother and sister (the book goes into detail about how this came to pass) On top of that, Cal’s father/uncle, Milton, is married to his cousin, Tessie (Cal’s mother/aunt/second cousin?) Following? Drawing a diagram helps. So sometimes when in-breeding occurs genetics can get a little tricky, or as I’m calling it unique. In a way, Cal’s genes are uniquely the same, too much of the same. Her grandparent’s secret eventually leads to a daughter/niece named Calliope, who will tell readers the story of her beginning, and other life experiences from the viewpoint of her much older self, a man named Cal. At times it was as if Calliope’s growing pains mirrored America’s. Through this generational epic the reader glimpses at wars, immigration, race riots, white flight, cultural revolution, etc. Reading about Calliope’s self-discovery about her body, family, gender, sexuality, love and acceptance was refreshing and–you guessed it–unique. Middlesex is this generation’s Orlando and dare I say that I am putting him in the same context as Virginia Woolf. He’s that good. Have you read The Virgin Suicides? I really enjoyed Middlesex and I loved Orlando! I haven’t read The Virgin Suicides although I’ve heard about it. 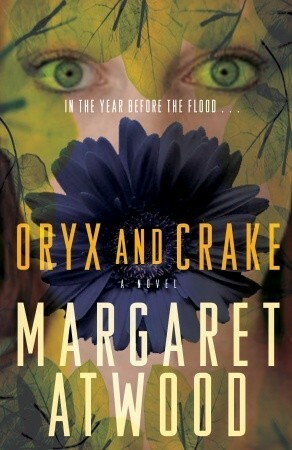 A lot of my high school classmates read it…and that may have deterred my reading of it a little, haha. Eugenides created something special with this one. It’s very well done and I’ll definitely add The Virgin Suicides to the list if it’s as good as this one.